While school sports have often been touted as being a positive experience for children, rarely is the widespread ramification of involvement outlined. Research suggests that through regular participation in organized school based team sports, school aged kids receive significant opportunities to improve their health, strengthen their emotional skills, and acquire important social capabilities. Encouraging your child to participate in school sports can make a significant impact on their overall physical health, both now and in the future. In fact, according to a Perkins study conducted in 2004, sports participation at a young age is a significant predictor of interest in physical activity during adult years. Aside from the physical benefits of school sports, there’s also a variety of emotional benefits, many of which can positively impact a child’s performance in school. According to Aspen Project Play, emotional characteristics such as attitude, attention, and concentration are superior among children who play school sports, along with an aptitude for following rules and showing respect for others. The social implications of school sports are significant for children, primarily due to the sense of belonging it provides. Being a member of a team provides the opportunity to develop leadership and cooperation skills, and shared experiences, including those that encompass feelings of both success and loss, contribute to learning respect and bonding with others. In addition, studies have shown that kids who play school sports are more likely to develop positive friendships, and less likely to commit crime, due to the decrease of unsupervised “down time”. As parents, we all wish for a healthy, happy life for our children, and school sports can provide that. 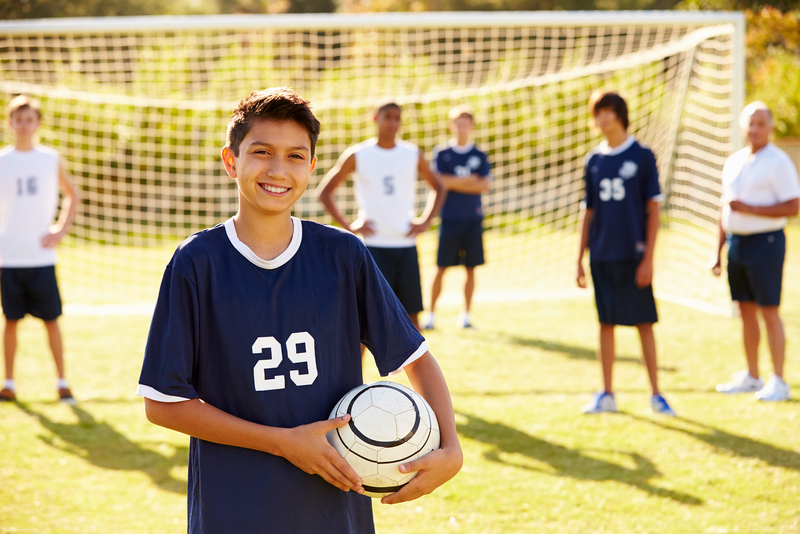 Ensure that your child is on the road to success by encouraging team sports participation for the upcoming school year.